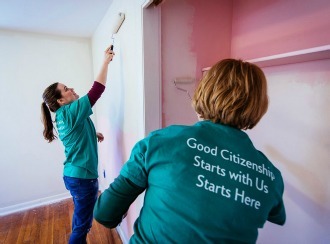 Onboarding program and supportive colleagues help Erick feel at home at Citizens. With over 15 years of experience working at a leading financial institution, Erick had developed a successful career. He was ready to take the next step professionally and started looking at new opportunities internally and at other successful organizations, like Citizens. “I was in a good place – performing well in my role, networking, taking on more responsibility. I felt like the timing was right to embrace my next challenge,” comments Erick. Debbie, Erick’s former colleague, had recently accepted a new role at Citizens and thought it was a perfect fit for Erick’s drive and enthusiasm. He adds, “Debbie and I spoke over the course of a year about how much she was enjoying her role at Citizens and eventually, I began the interview process. I was excited about the Citizens culture and the opportunities they provided their colleagues”. 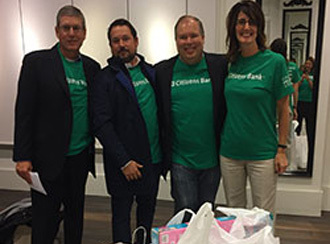 Erick joined the Citizens team as a branch manager and began the retail onboarding process as a new colleague. 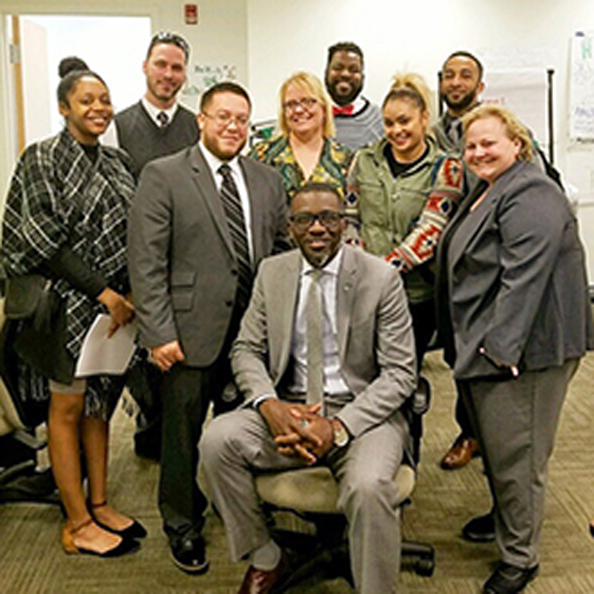 Over a three-month period, Erick and other new hires from various retail branches and roles participated in trainings and new colleague programs within a cohort setting. “I can’t say enough about my exceptional onboarding experience and the comradery our cohort developed. We went to lunch together, reached out with questions, asked advice and served as sounding boards for each other as we integrated into our new roles and the Citizens culture”, says Erick. With the cohort consisting of tellers, universal bankers, small business specialists and other retail roles, Erick was able to strengthen his knowledge as a branch manager and share his own insights with the cohort. Erick also credits his successful start to the incredible trainers that lead his onboarding classes. “Our trainers, Bob, Tanesha, Megan and Russell were so engaging and helpful. It was a very well-rounded experience, including sessions on lending, business banking, sales training, operations, teller and even connecting with the customers”, adds Erick. To further welcome Erick, Retail Director, Jeff, called Erick the day he accepted his new role to say how thrilled he was to have Erick on the team, and continues to reach out regularly to check-in with Erick. Personal phone calls from leaders, exceptional colleagues and a well-rounded onboarding program are just some of the reasons Erick knows he made the right move to bring his career to Citizens. “I’ve already seen colleagues around me excel and be promoted. I look forward to embracing new opportunities of my own here”, concludes Erick. Learn more about our retail banking careers and the breadth of growth opportunities we offer our colleagues. 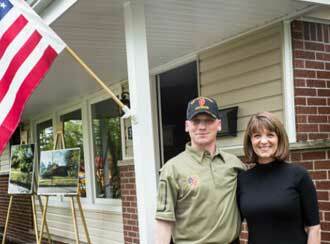 Another year, another mortgage-free home to honor a military hero’s service.